Slovenia Landscapes in 30 pictures - Beauty everywhere! 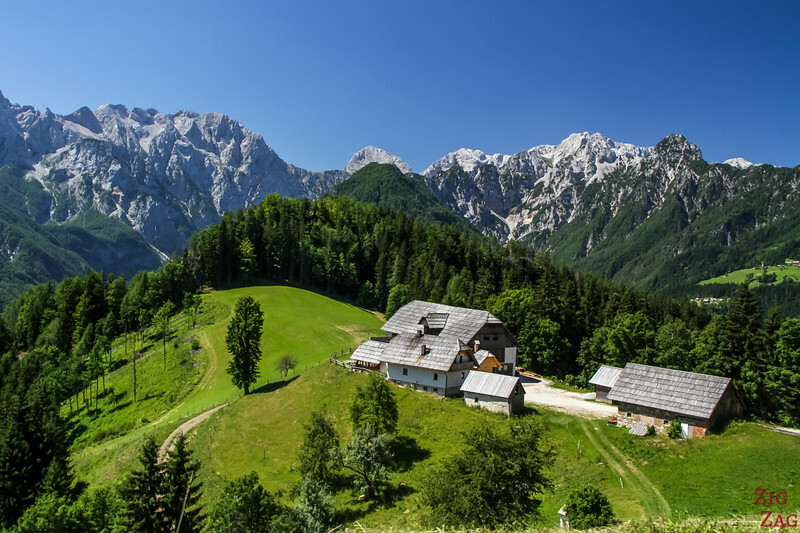 Wondering what the Slovenia landscapes look like? Well: mountains, old towns, lakes, emerald rivers... get ready to be mesmerized! 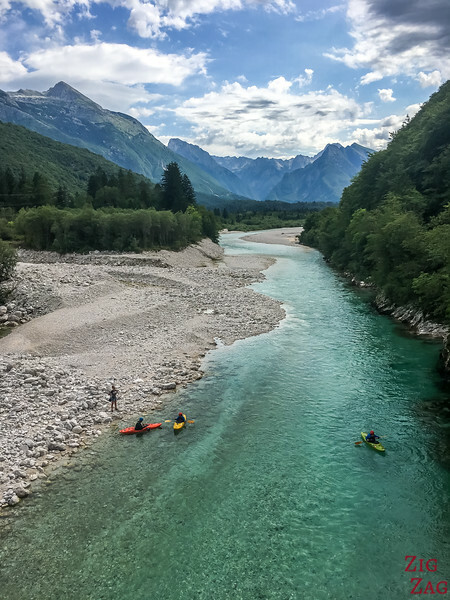 Here is a selection of 30 Slovenia Pictures I took that will probably make you add this country to your Travel Bucket list! Slovenia is absolutely stunning. As you will see in the pictures below, the colors are sometimes hard to believe. I sometimes thought that 'people will think I am using filter, they won't believe those colors are real!'. And yet they are. It was really difficult to limit myself to 30 pictures. I would love to share so much more. But I will do in the various articles. 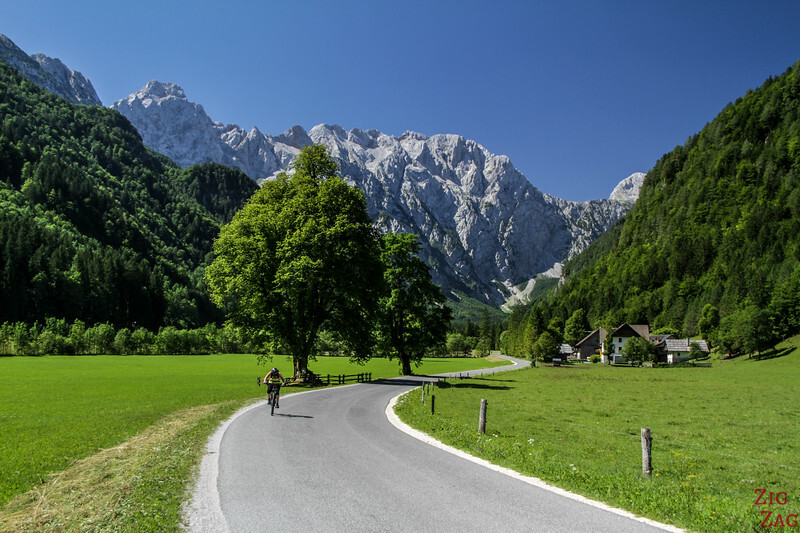 This is just a snapshot to make you add another country to your bucket list and give you an idea of all you could see on a road trip through Slovenia. 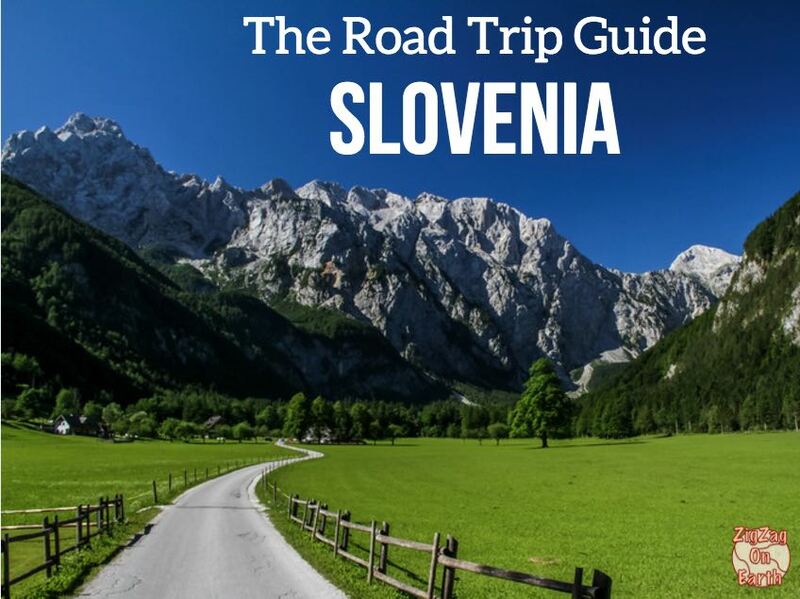 All the following locations, along with many other beautiful places, are included in my eBook: The Road Trip Guide-Slovenia. 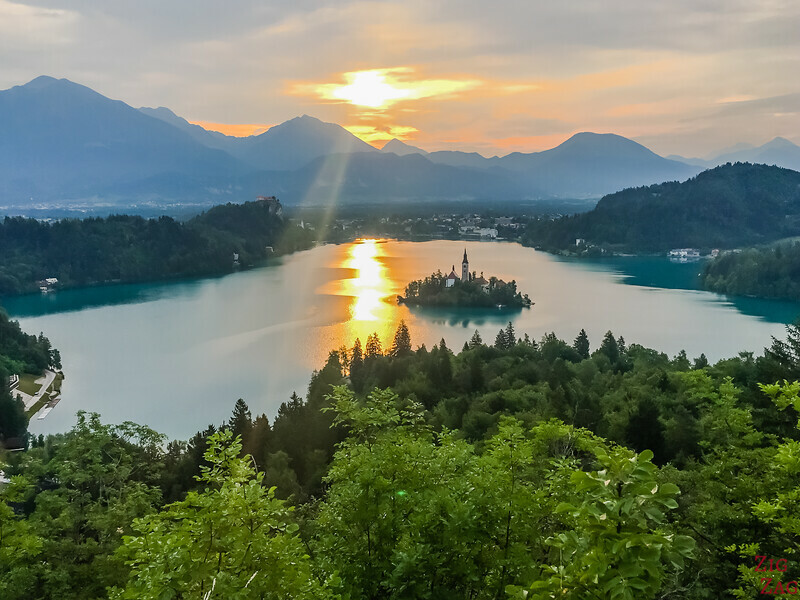 Lake Bled is probably the most famous destination in Slovenia. Some tourists don't even visit the capital city and head straight to Lake Bled. And it is easy to understand why. Between the color of the water, its size not too small or too big, the cute little island in the middle and the surrounding mountain... the place is postcard-perfect! The Vingtar Gorge was one of my favorite things to do in Slovenia. I went early to avoid the bus crowds and it was just magical. The narrow part of the gorge with the emerald color of the water was simply mesmerizing. 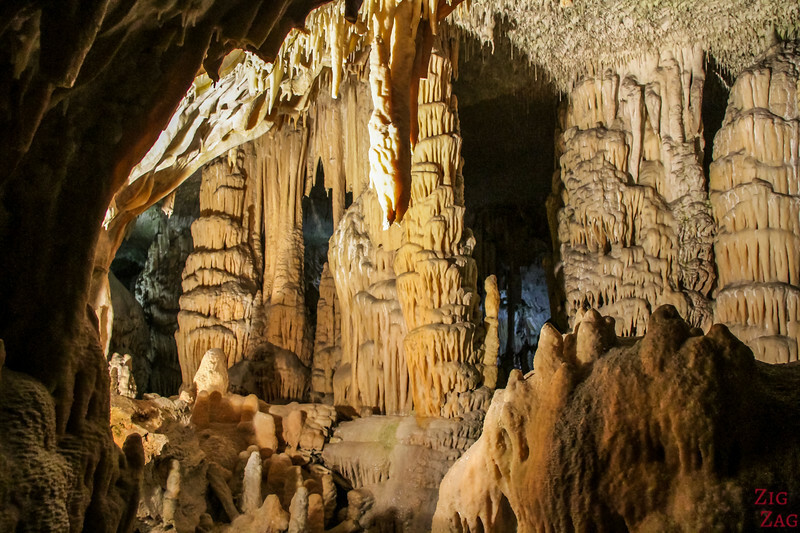 This easy walk is a must-do, a real gem. Many photos and a video on the Vingtar Gorge walk article. 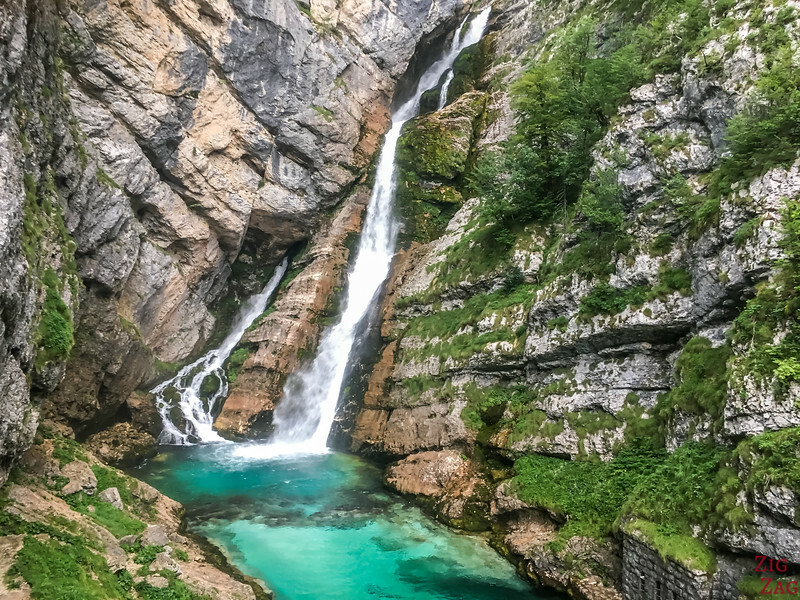 Probably the most famous of all waterfalls in Slovenia. Take just the fall and it is not that special. Take just the pool and you think 'yeah, not bad but...'. However combine them and you get Slap Savica. I couldn' stop taking pictures!!!! 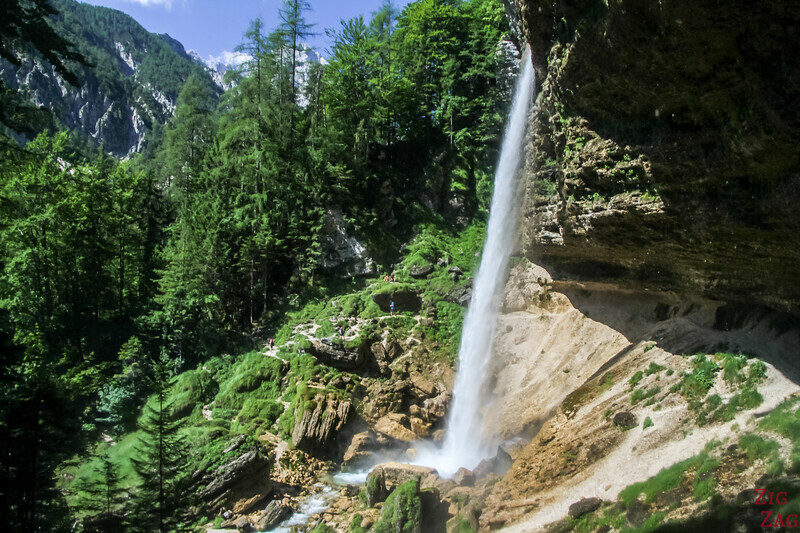 Many more pictures and video on the Savica Waterfall article. Going to the island is kind of a big tourist trap but I must admit getting closer to it was nice. They really used all they could of this little rock in the middle of the lake. And once again look at the color of the water! 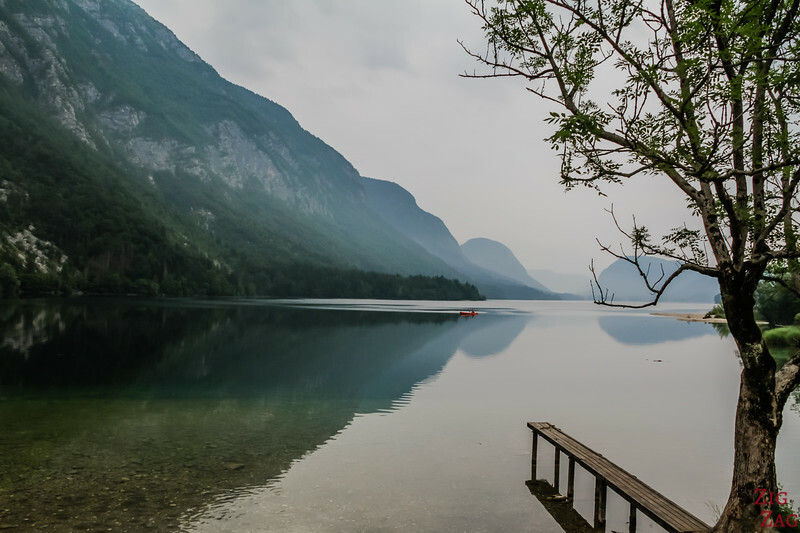 Not far from lake Bled, you can finf Lake Bohinj which has been able to stay more natural. Even when the weather is not great, it is worth exploring its shores. So peaceful! I love walking behind waterfalls. How about you? I did it in Iceland and I did it again in Slovenia! This is not the most well know waterfalls in the country but it sure was one of my favorites. 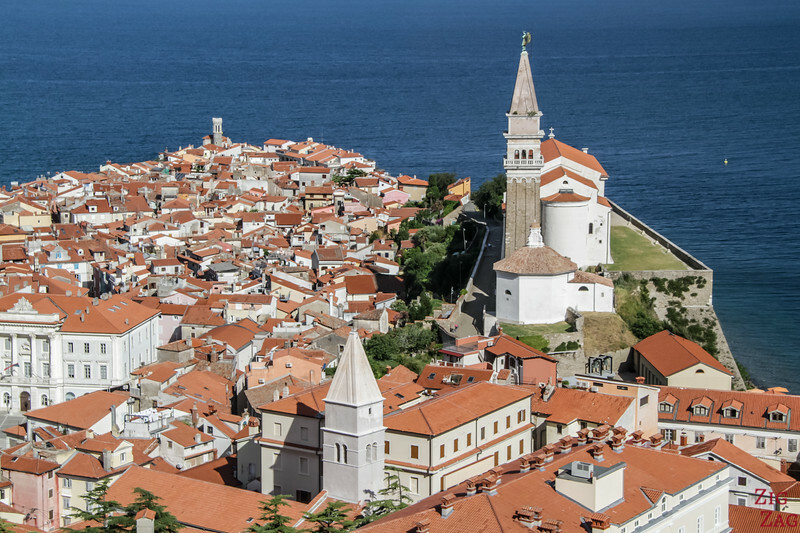 Piran is the most well-known of the Slovenian Coastal Towns. It has had a long history thanks to its salt pans. And today, the tourism industry is taking over leading you in the narrow street of this charming town. Before driving to the famous VRSIC pass in the Julian Alps, don't miss a stop at the Jasna Lake. Great place for a picnic with the intense color of the water and the pointy surrounding mountains. I promise this is the real color! 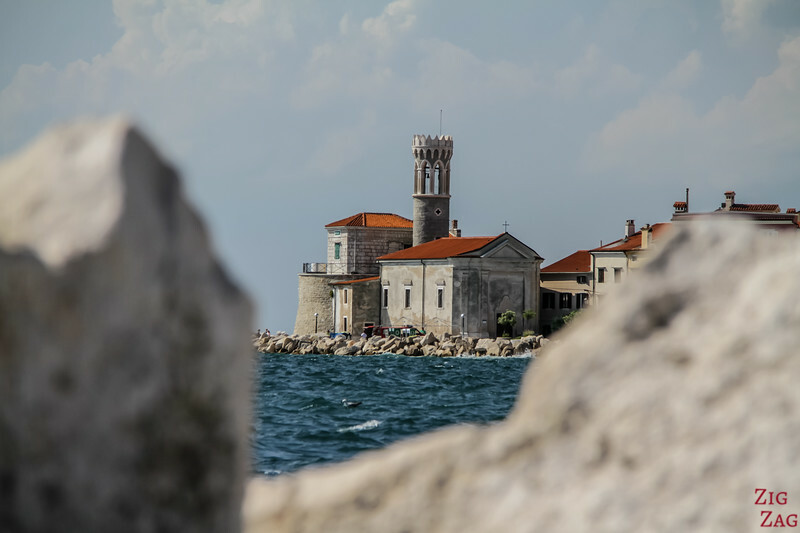 I talked to you about Piran at photo 7, well this is the city as seen form the old Fortification walls. I love it when you can get a bird eye view of a place. Plan a couple of days there to really enjoy it and relax. 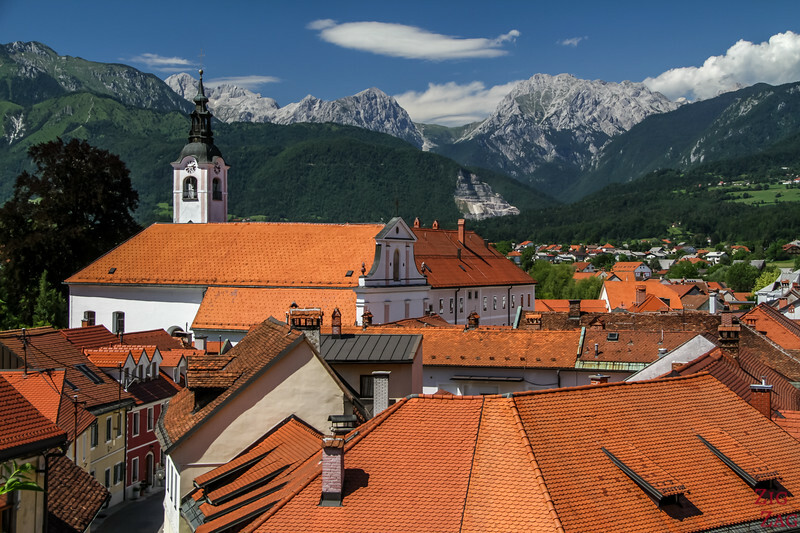 Charming little town north of Ljubljana, the best views are from the old castle church to see the roofs with the mountains in the background. Stunning, isn't it? You might not know the name, but you most probably have seen pictures of it. The Soca River a.k.a. 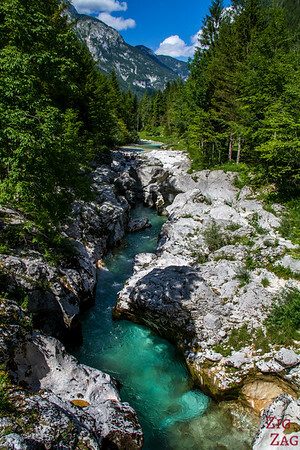 the Emerald River is flowing through the Triglav National Park. It is paradise for rafting and kayaking. The water flows through large and narrow section but keeps its incredible transparency and emerald color. More photos of the Soca River and its valley in my dedicated article. 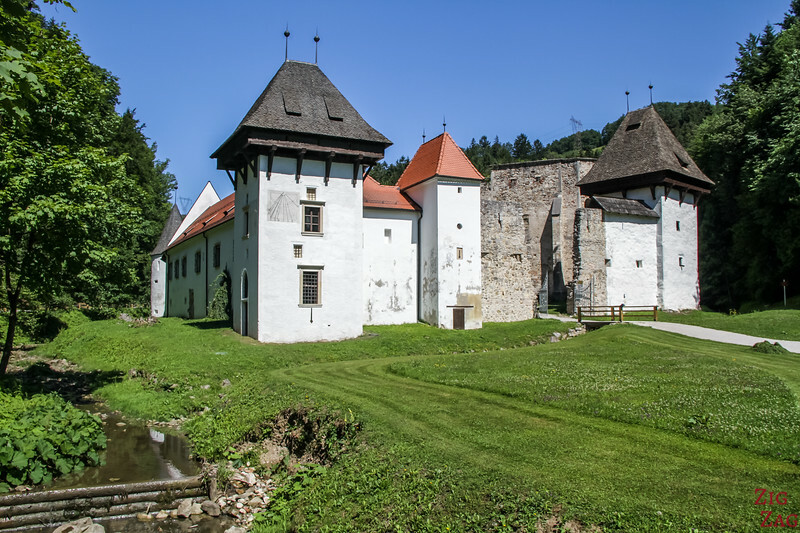 With its many mountains and hills, Slovenia has a lot of small castle places around the country to defend the territory. Kozjansko is one of the lesser known because off the beaten path, but I think it deserves a detour. 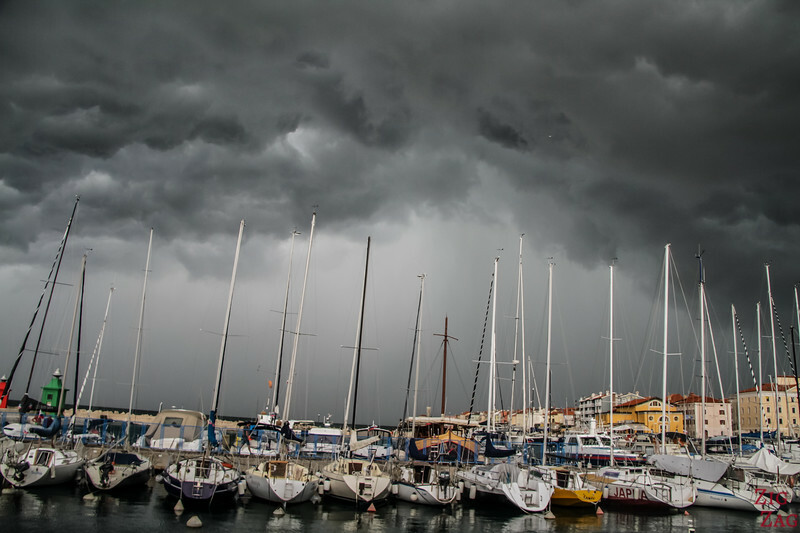 In Summer, heat gets stuck over Slovenia and storms are common at the end of the day. Sometimes it is worth stepping out to enjoy the weather intensity! 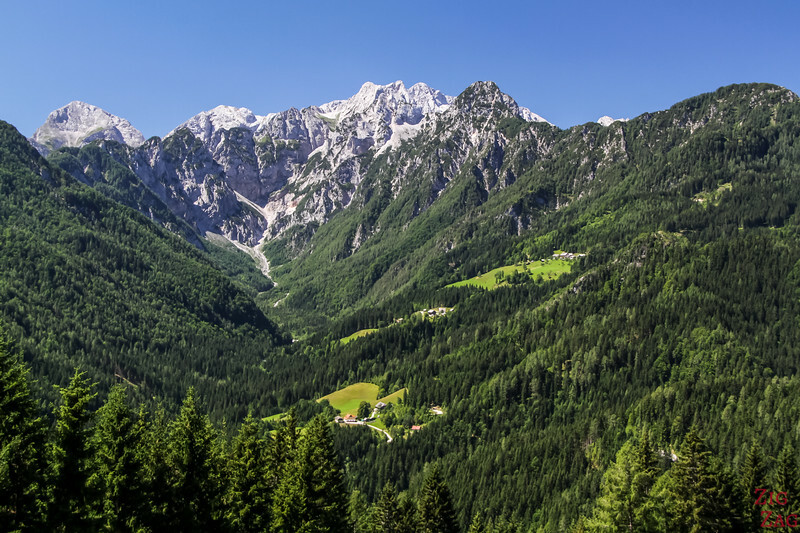 The Logar Valley region (Logarska Dolina) is being developed for tourism. They are improving a panoramic road that takes you to traditional farms to sample their products. But it also leads you to some unforgettable viewpoints 🙂 Some of the best Slovenia Landscapes you can admire. 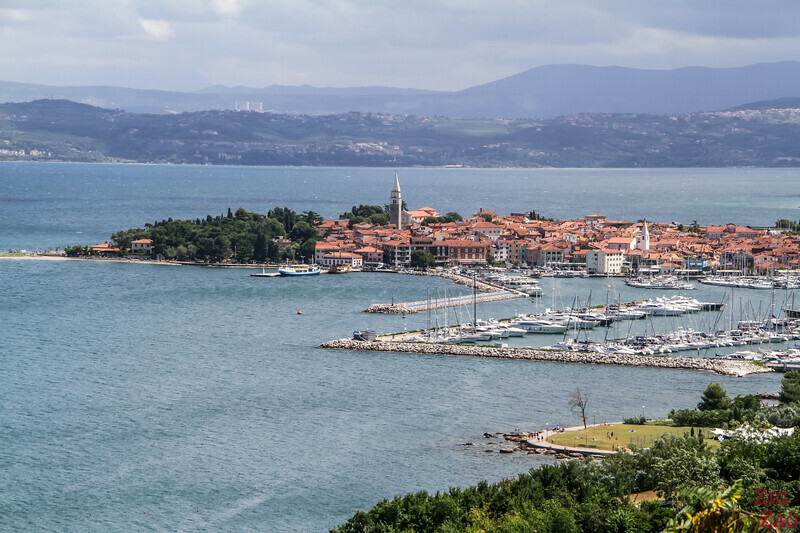 Less famous than its neighbor Piran, Izola is a fishing village also located on a small peninsula. And luckily there is a great viewpoints on the way to Piran. The most famous mountain road in Slovenia is the VRSIC pass. 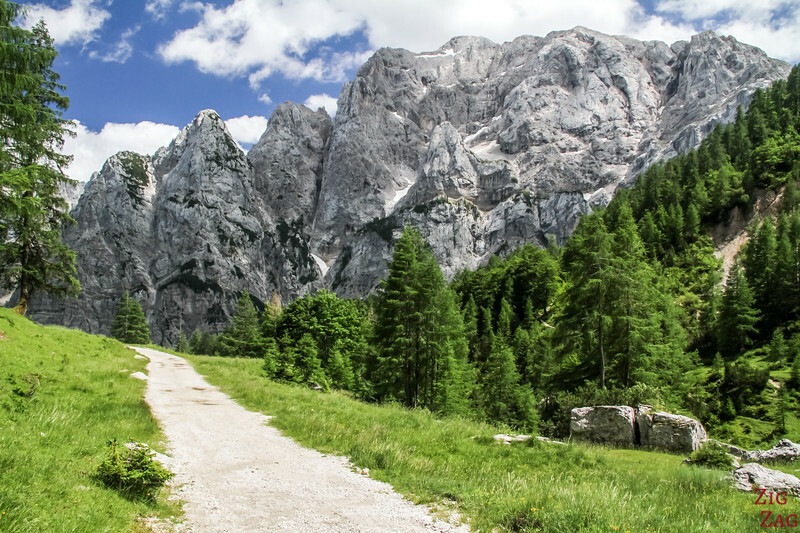 It has 50 crazy turns but also magnificent views of the Julian Alps. We stopped at every parking possible to enjoy the walls of mountains around us. Here as well, some of the best landscapes in Slovenia. Of all the castles in Slovenia, Celje was my favorite. Probably because of its location offering incredible views over the town of Celje, the river and the mountains. Slovenia has a lot of smaller towns, with a river going around. This is fantastic for photography. Here is Novo Mesto in the Eastern part of Slovenia. 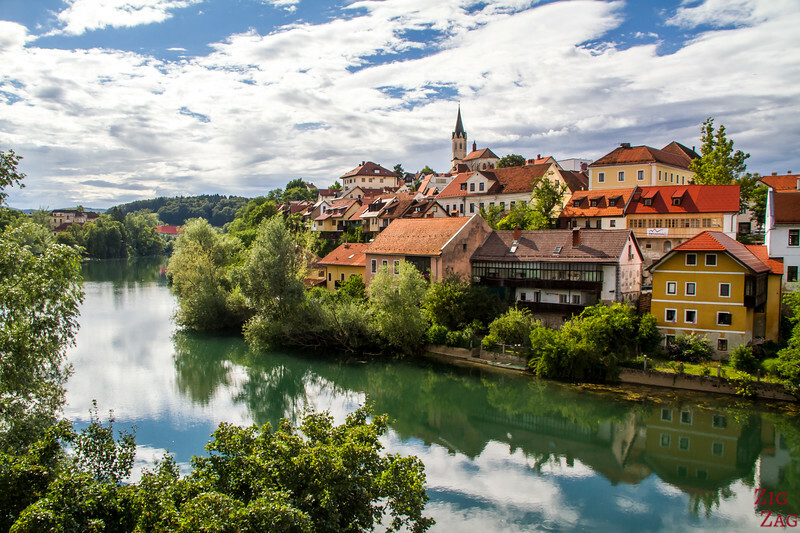 The Krka Valley is off the beaten path in Slovenia, but worth a visit. I loves the Solcava panoramic road so much, that I picked another pictures from another stop. You can see why, can't you? Discover more photos of the Logar Valley and Slocava Panoramic road in my article about the region. This emerald color is just everywhere. Sometimes I had to check my glasses were not playing tricks with me. But not this is the reality. Here around Most na Soci. No, I have not forgotten the capital city. But my favorite Slovenia landscapes are in nature... However the view from the historical building in Ljubljana called Skyscraper is a success. You can see the old town protected by the castle and the mountains in the background. 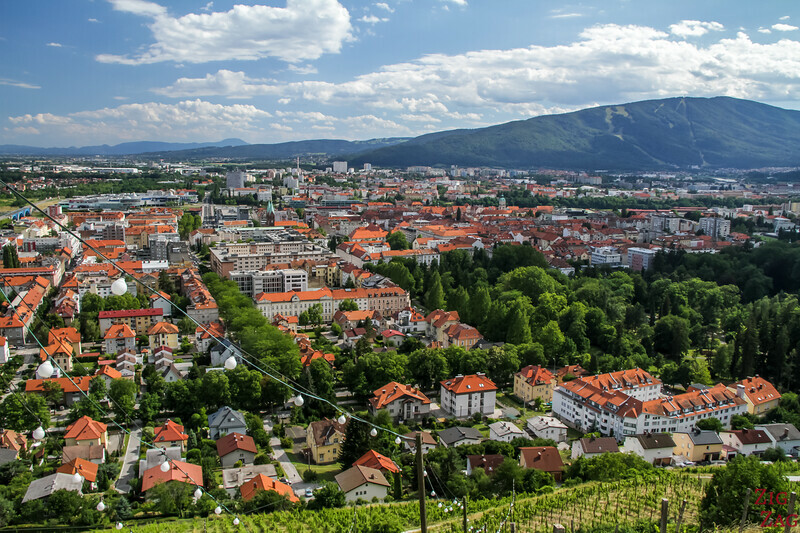 One of the best views in Ljubljana. I must say I am a bit disappointed by my pictures of Lake Bohinj. It is a really beautiful and peaceful lake and I am frustrated that I have not been able to capture it. 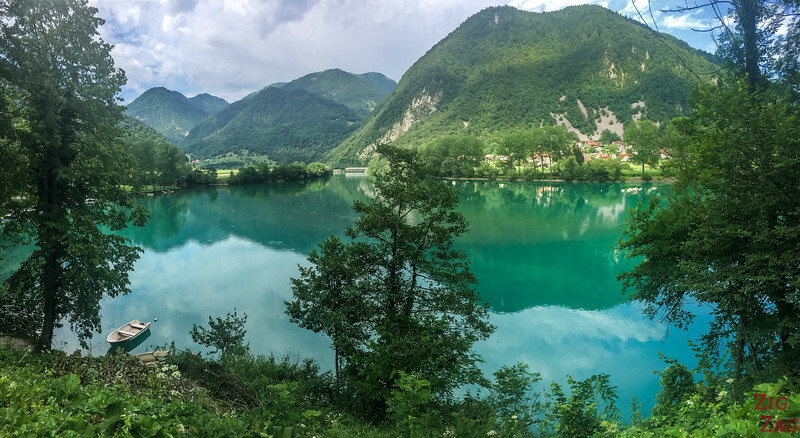 Another section of the Soca River, this time bit wider. Ready to pack your bags? I really thought that fairies would appear at this waterfall. 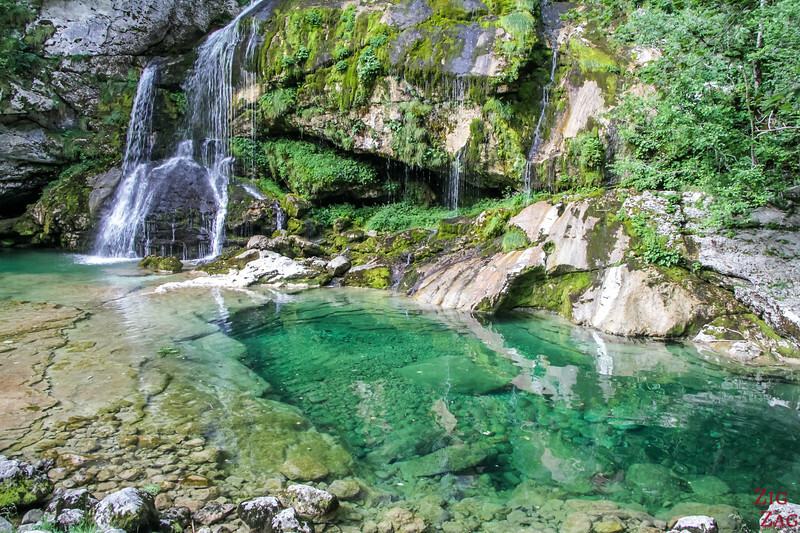 Located not far from Bovec, it probably offers 50 shades of greens! 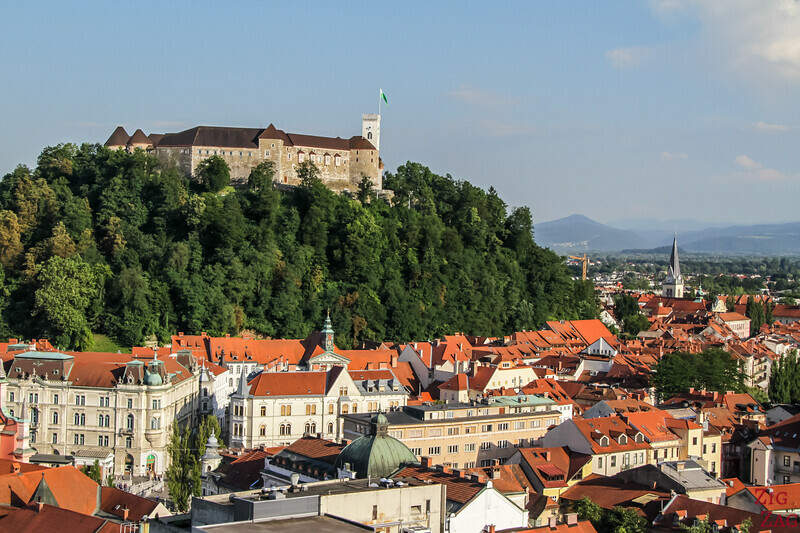 The capital city of Ljubljana is cut through by a river. 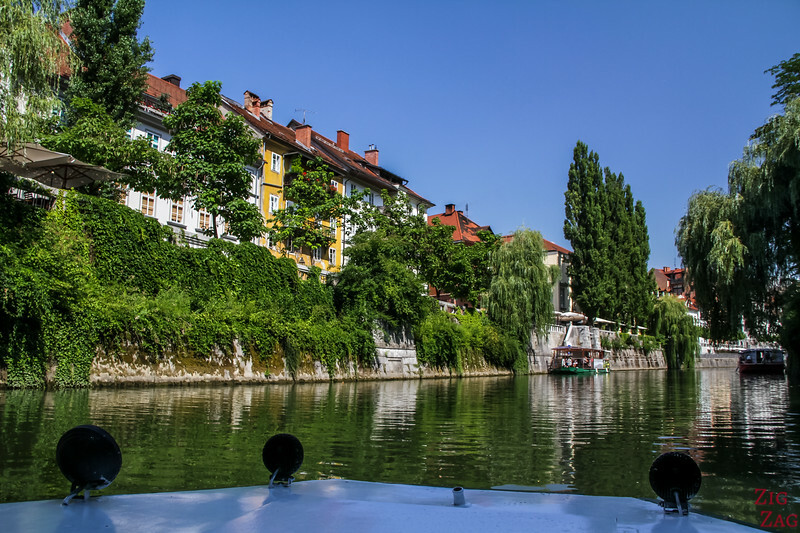 Small boats take you on a 45min cruise to discover the city from another angle. Very relaxing. 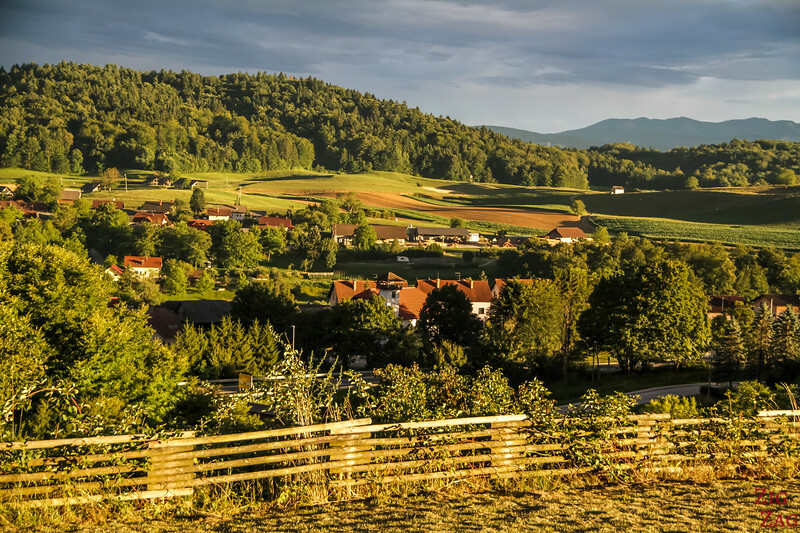 Even in the less mountainous parts of the country, the Slovenia landscapes are never flat. Always a pleasure to just drive around to admire the scenery. 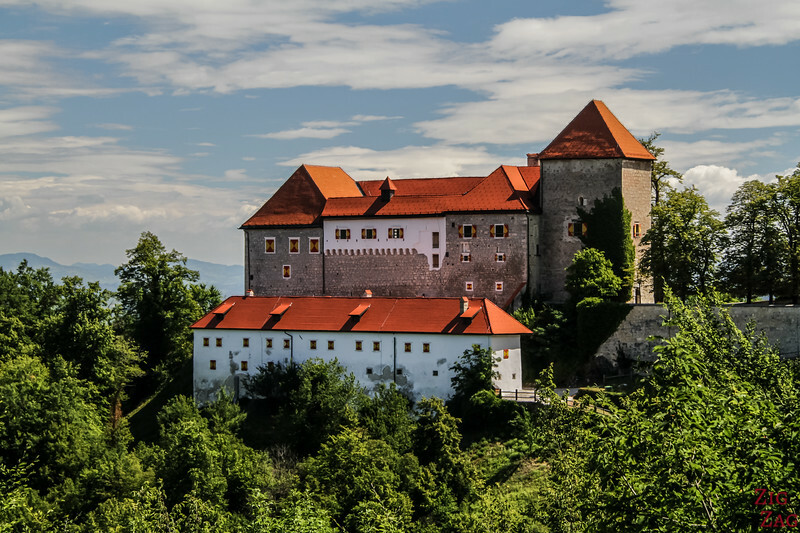 All the above locations, along with many other beautiful places, are included in my eBook: The Road Trip Guide-Slovenia. What places do you want to see? Nice to these scenaries. Very beautiful and nice.